LONDON -- Arsenal coach Unai Emery has said the prospect of Stan Kroenke gaining total ownership of the club is "positive" after the billionaire gave him his full backing in May. Kroenke, who already owned two-thirds of the club, announced this week that minority shareholder Alisher Usmanov had agreed to sell his 30 percent stake to him. 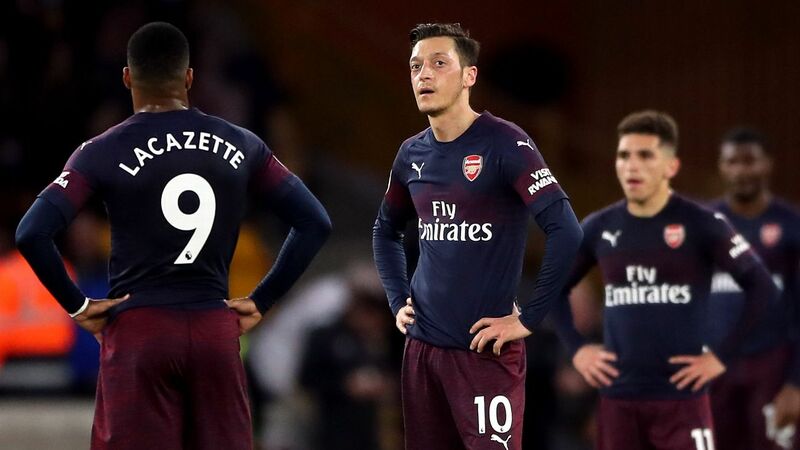 The development has angered some fans because it would mean Kroenke could force the remaining smaller shareholders to sell their combined three percent stake, taking Arsenal into private ownership. "I met the Kroenke family in Atlanta, and he gave us his commitment in this project with Arsenal," Emery told a news conference on Friday ahead of the season opener against Manchester City. "And for that this news, for me, is positive, and his commitment to Arsenal is for me the most important." "My first message is clear: think about each match. Enjoy the challenges of each match," he said. "I am looking every day and the players are smiling in training with a big collective spirit. "For me, that is the best message I can give the supporters. It's for that, my message for Sunday and for the season is optimism. "On Sunday I want first to be together with our supporters. It helps if we're together, for the players to show their best performance and to transmit with every supporter the quality, the energy and the spirit to go forward against Manchester City." Emery has a problem at left-back, with Sead Kolasinac out for two months and Nacho Monreal having only returned to full training on Friday following a minor knee issue. 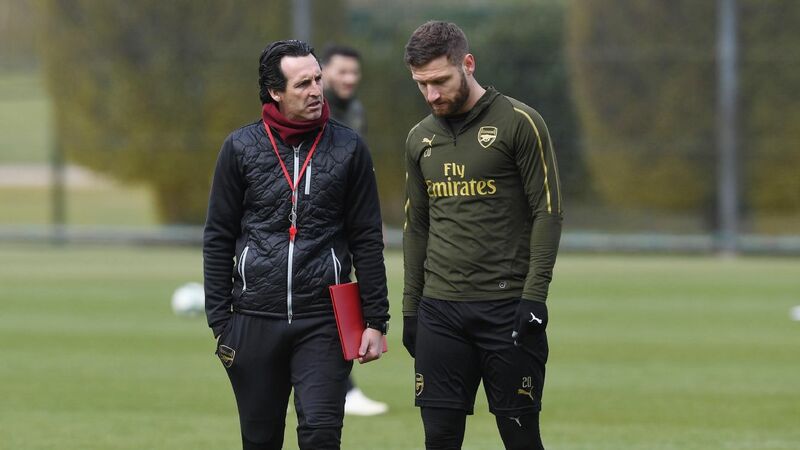 The coach said he expected midfielder Ainsley Maitland-Niles to start in that position against City, although there was a small chance that Monreal would be ready. "We are working on the possibility to work with Ainsley, who has experience in this position. We want to give him confidence," Emery said. "I'm not sure because I am going to decide tomorrow on the first 11, but Ainsley is the player who started the last match against Lazio." 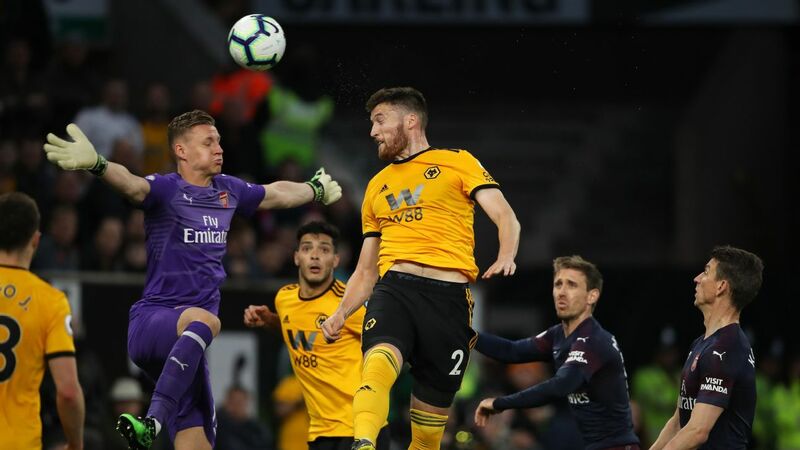 With European transfer windows still open, Emery said goalkeeper David Ospina, forward Joel Campbell and right-back Carl Jenkinson could still leave. However, he ruled out the possibility of selling Danny Welbeck or Mohamed Elneny, also linked with moves. "Today, we had a meeting with the players to close all the possibilities to bring more players. We only have three players, Carl Jenkinson, David Ospina and Joel Campbell, with the possibility to leave," he said. "But the other players are with us and we are going to work in the Emirates the day before the match with all the players." Emery praised City boss Guardiola, whom he faced at Barcelona while coaching Almeria and Valenca, saying: "His career as a player is bigger than mine and his career as a coach is also bigger than mine. "But I like to play more against him because it's demanding for your preparation to try to win against his teams."